So it’s the last day of November, and many of you are slap wore out. And tomorrow is December 1st and you’re going to dash into holiday mode and not come up for writing air until perhaps January 1st, where you will be a hypercritical mess, bemoaning all that you didn’t accomplish in December—and what the heck, why not just include all of 2014? Friends don’t let friends berate themselves. So let’s do something different this year, starting right now. First, I want you to open a document, or grab an actual piece of paper, or just turn over that napkin under your coffee cup. And now, I want you to number your page (or napkin) 1 through 12. And now I want you to write down the very first thing about writing for which you are grateful. Don’t overthink it. Just write it down. And no, I won’t give you my answer because then you’ll use it. Now, I want you to write down the next thing about writing for which you are grateful. In fact, I want you to write down 12 different things about writing for which you are grateful. And I don’t mean writing in general. I mean your writing. What, about your writing, are you thankful for in this year of 2014? Okay, hold on. You’re already scooching over to the negative, aren’t you? Probably thinking about what you didn’t accomplish, like the 32,017 words you wrote instead of 50,000 for the NaNo challenge. But guess what? YOU WROTE 32,017 WORDS! That’s pretty amazing. What else did you do in the past eleven months? Did you send out a query? YAY! Did you pitch an article? Fire the confetti canon! Did you write a short story, an essay, a haiku? Wheeee! Look at you, writing and creating! Did you remember to count all the books you’ve read? Reading (in your genre as well as craft books) makes you a better writer. What about writer friends you’ve connected with this year? Did you count them? Whether you’ve met writers in person or virtually, aren’t you grateful for those connections? And most importantly, did you count that you are here? Reading The Muffin, reading articles on WOW! Women on writing? Even if you’ve barely accomplished writing a grocery list, you have not quit. That makes you a pretty awesome writer in my book. So pat yourself on the back and enjoy your December. And here’s to the glow of gratitude carrying you—and me—all the way through to New Year’s! Thanksgiving is behind us along with turkey and cranberries and a wealth of other delights. Christmas is yet to come which, of course, means shopping and wrapping and more cooking. We are officially in one of the busiest times of year. That may be, but some of us still need to write. For some of us, that means a story that just won’t leave us be. For others, like myself, it is because this is how we make our livings. I have deadlines – a book due December 3rd, an outline due the 15th, and a first chapter due just after New Year’s. 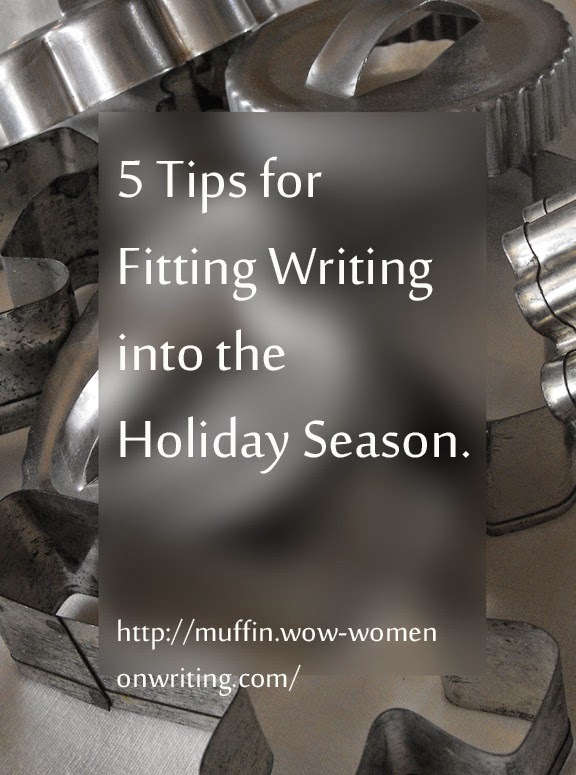 Here are five tips for working writing into your holiday schedule. Give yourself permission. That first one is a big deal. Acknowledge that it is okay for you to write even during the holidays. Whether you have a deadline or an itch, writing is what you do. If you identify as a writer, it is okay and even desirable for you to take the time to write. You’ll be more sane and your family will love you for that. Acknowledge what you can and cannot do with other people around. When I am hip deep in teens, I can proof on paper and reformat on screen. I cannot write a first draft of a chapter or do a sweeping rewrite. I can blog even with my husband home. Write. Giving yourself permission to write isn’t enough. You actually need to sit down and write. If no one is home, do the writing on the “cannot do with other people around” list. If they are home, switch to the other list, but write. Be the enforcer. Especially if this is a new habit, you may have to convince those around you. My son and husband often need gentle reminders that “just having a discussion” in my office door is forbidden. No, not discouraged. Forbidden. Your family can make do without you for 30 minutes. Go out and have some holiday fun. When you have done whatever writing you set out to do, go experience the holidays. 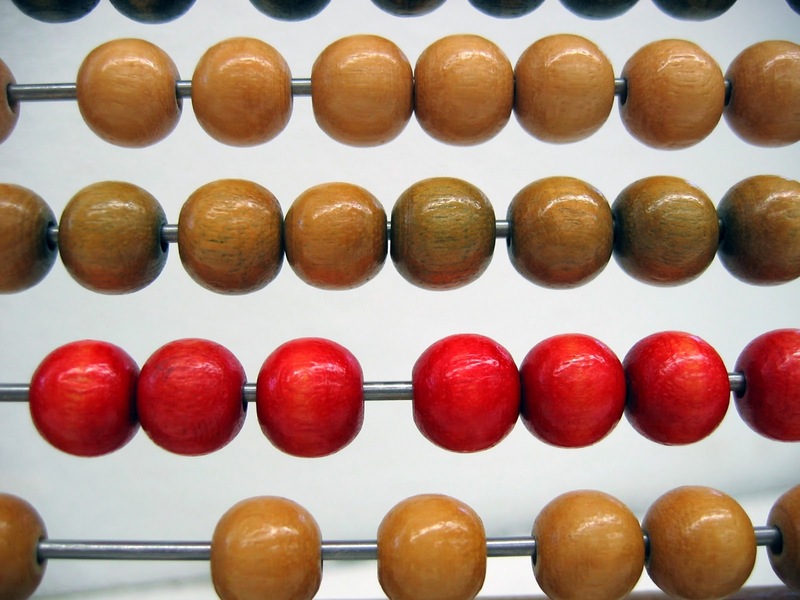 Steps 1 – 4 don’t mean that I’m telling you that all of your time should be spent writing. We need to experience life so that we have something to write. Now that you’ve gotten the hang of giving yourself permission to write, you must also give yourself permission to experience whatever is going on around you. Write and celebrate. You can do both. It’s a matter of balance. Last week I had lunch with a former classmate who is an successful, published author and we talked writing. She offered to be a reader for one of my works, which I’ve been fiddling with for too long. Her offer touched me because my manuscript is the biggest hurdle I see in front of my progress for other writing projects. Then I went on a walk with one of my NaNoWriMo buddies. I asked about her progress—going great!—and she kindly dismissed my sheepish response when she asked after mine. I easily received her encouragement—not for increasing my word count, but for the act of writing. Both encounters blew me away. Not because I didn’t expect if from such fabulous writers, but because I realized how grateful I am that I have such supportive friends who happen to be writers…and that they always seem to know the right, reassuring words to say. My focus on NaNoWriMo was to make progress in my writing. In so many ways, I’ve made progress. It just hasn’t been in word count. The past month I’ve spent time thinking and writing that I wouldn’t have had a chance to if I hadn’t even thought about joining a writing marathon. It made me push my boundaries to talk about my work with others, including WOW! readers. Even without a hefty word count, November has given me fabulous opportunities to reiterate the value of writing and being with other writers. I’ll be celebrating Thanksgiving and NaNoWriMo ends in a couple of days. 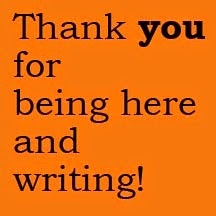 This seems to be a perfect day to show gratitude for many things, especially our writing lives, friends, WOW! and The Muffin, and all of our works in progress. 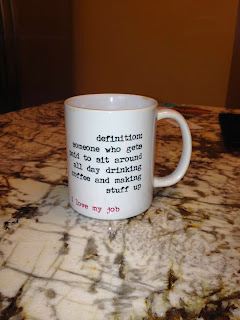 That’s what I’ll be doing...while throwing in a side of writing! What writerly things are you grateful for? Elizabeth King Humphrey is a writer, editor, and teacher. Her free guide, Harmonizing: Find and Communicate to Your Audience, helps health and wellness professionals communicate with their potential clients. 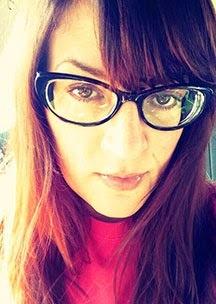 Please welcome back Marci Mangham, runner up in our Spring 2014 Flash Fiction Contest. 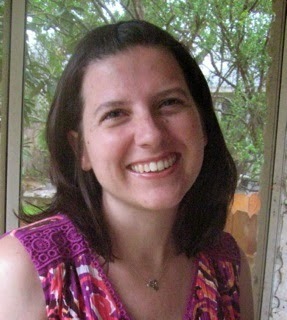 This is Marci’s second win in our Flash Fiction Contests; her first time was in Spring 2007 with The Wedding Zinger. Marci has a knack for little, ending story twists! Please enjoy her winning entry, Behind the Curtain, and come for a chat with the author. Marci is the worst writer on earth. Okay, maybe not. But creativity comes in spurts these days, so she is very happy to have written a little something new. 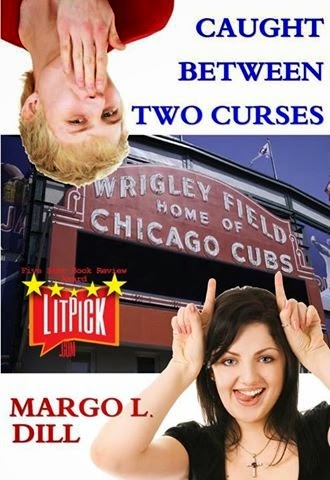 Marci published a short story collection called Both Ends Burning in 2007 and has 2 unfinished novels waiting for some attention. This is her second time placing in the WOW contest, so here’s hoping it will be a catalyst to get her writing “groove” back. She has also been featured in WOW’s Friday Speak Out. Marci lives in Dallas, Texas with her German Shepherd, Louis, and daydreams of living in Colorado and writing the great American novel...or HBO’s next great series. WOW: Welcome back, Marci! When did you first realize you enjoyed writing stories? Marci: I was in the gifted and talented program when I was in 6th grade and one of our assignments was to write, illustrate and bind our own little book. The binding part wasn’t so great as I’m not particularly crafty, but I loved writing and drawing. I won 1st place for my story about a German shepherd who saved his family from an intruder. WOW: First place; what a thrill for a young writer! Marci, in Behind the Curtain you captured the tense relationship between the doctor and her patient perfectly! What was your inspiration for Mr. Watkins? Marci: I was without insurance a couple of years ago and had to go to the ER of our local county hospital. While I was waiting I saw two deputies bring in a shacked prisoner. I could feel the tension as they walked him past us. Let’s just say I wouldn’t want to meet that guy in a dark alley, even in shackles. Well, maybe if my dog were with me! WOW: You’ve published a book of short stories and have two novels on your desk; how would you compare the experience of, or discipline needed, between short stories and novels? Marci: I haven’t finished a novel since 1994, and even though I threw it away, I actually enjoyed the experience of writing and growing with the characters and story over a year’s time. But as I’ve gotten older, I have become more ADD and my attention span is roughly that of a 6-year old these days, so I really need to recapture the dedication and discipline to get back to my unfinished novels. I was cranking out short stories at a pretty fast pace 7-8 years ago and so I decided to put them all together and publish a little collection. I’m currently not so prolific, but I’d like to at least start writing them more frequently again. WOW: Tell us about your writing process; do you tend to know the ending and work backward, allow the story to unfold with time, or…? Marci: I’ve done both, actually. It really depends on what my idea and inspiration are. For this story, I pretty much knew right away how it would end. One that I submitted for the summer contest began with me consulting a writing prompt app that gave me a setting of a dry cleaner, and paper clips as object. Then I just started writing, and ended up being inspired by something that had just happened to a friend. I had no clue how that one was going to end up when I started writing. WOW: We’d love to hear more about your novels—tell us a little about the one you are working on now. Marci: Well “working on” might be a bit strong (back to the attention span thing), but one is about Santa Claus. It’s definitely not a children’s story, though. It begins with him sitting on a toilet unable to go, thinking about what he has in common with Jesus. He is in crisis and is very depressed about how he treated Rudolph, the never-ending snow and cold, and being stuck for eternity at an age where everything hurts and creaks. WOW: Fantastic opening scene! Be sure to let us know when that one is finished! Thank you, Marci, for visiting with us today. Maybe we’ll see you back here with a third win! Will you win our next round? Entries for the 2014 Fall Flash Fiction Contest are now being accepted. We can only allow 300 submissions so don’t wait too long to send your in! It wouldn’t be fair if I didn’t start by saying I am a huge Bette Lee Crosby fan, so I went into Passing through Perfect knowing I would absolutely love this book. 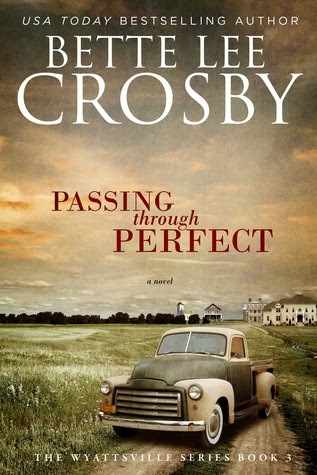 However, Passing through Perfect is unlike any of the other books Crosby has written. In Passing through Perfect Crosby writes in the voice of a young black man. This was definitely a stretch for Crosby, but I only know that because she said so herself. If I didn’t know better, I would think Passing through Perfect was indeed written by a young black man. The characters were rich and believable, the settings and scenery were perfect to depict the living conditions during the mid-1940’s and once I picked up Passing through Perfect I couldn’t put it down. I was so drawn into the lives of Benjamin and Delia I finished the book the same evening I received it. Passing through Perfect brought out so many emotions for me as a reader. The racism experienced by the main characters made me tense up and I was angry about the ignorance and injustice of the time. The love between Benjamin and Delia was so strong from the moment he laid eyes on her that my own pulse quickened with excitement about the thought of true love at first sight. These emotional ups and downs were felt throughout the book. I especially love the title of Passing through Perfect because I think we can all relate to a time in our lives that was so absolutely wonderful we wanted it to last forever. This is definitely a book I would recommend to others; in fact I’ve already told a friend that she absolutely MUST read Passing through Perfect. Whether you’ve read the other books in the Wyattsville Series or not, you’ll find yourself drawn in and enjoying every turn of the page with this fabulous book. Thank you to Bette Lee Crosby for sharing her storytelling time and talents. Crosby’s published works to date are: Blueberry Hill (2014), Previously Loved Treasures (2014), Jubilee’s Journey (2013), What Matters Most (2013), The Twelfth Child (2012), Life in the Land of IS (2012), Cracks in the Sidewalk (2011), Spare Change (2011). A Cupid inspired romance, Wishing for Wonderful, is scheduled for release in November 2014 and Book Three of The Wyattsville Series, Passing through Perfect, will be be available in January 2015. 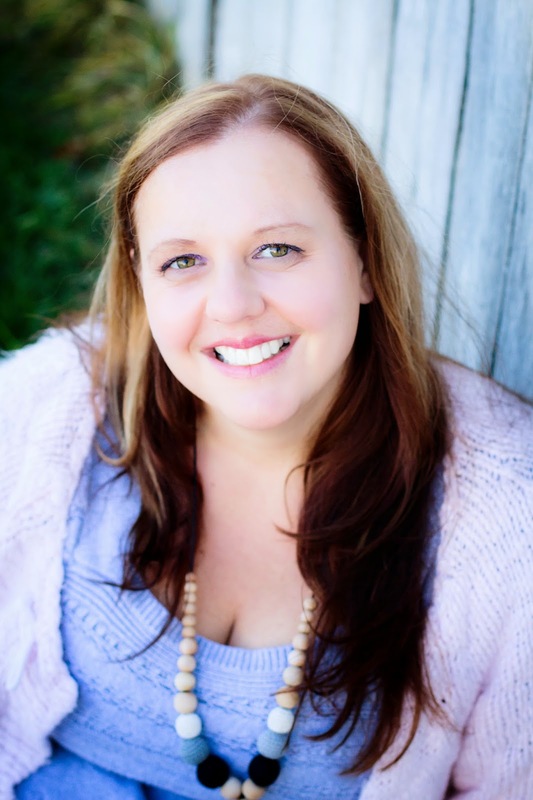 Crystal is a church musician, business owner, active journaler, writer and blogger, Blog Tour Manager with WOW! Women on Writing, as well as a dairy farmer. 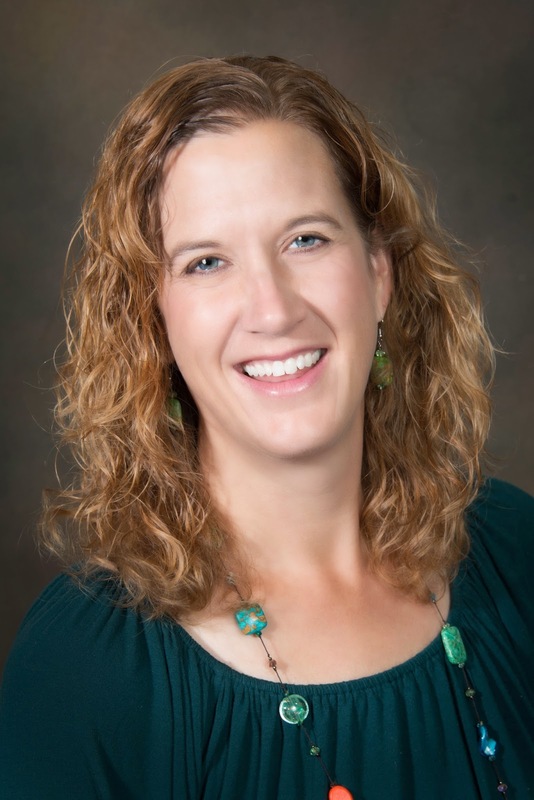 She lives in Reedsville, Wisconsin with her husband, three young children (Carmen 7, Andre 6, Breccan 1), two dogs, two rabbits, four little piggies, a handful of cats and kittens, and over 200 Holsteins. The Otto family is expecting an addition with Delphine Elizabeth Otto due March 1st 2015! Recently I was teaching an adult education class about characters in a novel, and I said, "Writing the bad guy is so much fun. At least I think it is. I hope I'm not the only one. I think this is normal." The students kindly gave a little laugh, and we went on to talk about famous antagonists and how to write your own bad guy to stand out in the crowd. Your antagonist needs a redeeming quality or at the very least, a reason readers can understand for their behavior. This is the biggest detail about antagonists to spend time on when thinking about this character in your novel. Why is your bad guy bad? Here's an example. When I was writing my middle-grade novel, Finding My Place, my antagonist, Mrs. Franklin, was mean just to be mean. 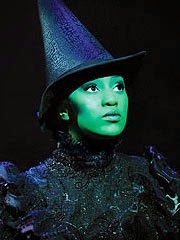 She didn't have a redeeming quality or reason for her evil ways. Although she was fun to write and gave my 13-year-old heroine a lot of drama, the story wasn't as rich as it could be until I worked on Mrs. Franklin's character. So, I gave her a reason for her meanness, and this reason was a bit of a redeeming quality, something that readers could possibly relate to. Mrs. Franklin was cruel because she loves her family above all else. Her family is the only important thing to her, and she's willing to treat others badly in order for her family to have comfort and safety during the Siege of Vicksburg (U. S. Civil War, 1863). She takes loyalty to her family to an extreme, which is also something many bad guys do. They have a normal desire (such as inheriting the shoes of your dead sister) to a crazy extreme (trying to kill or enslave a teenage girl to get the shoes). Your antagonist has a past, favorites, and an appearance, too. In my opinion, it's as important to spend time on a character study of your antagonist as it is on your hero. Writers will pen page upon page of their protagonist's likes and dislikes, family, appearance, and hobbies, and write two sentences about their bad guy--why he's bad and what he does that's evil. But your antagonist had a past too, and he or she also has a favorite color or food, does something in his or her spare time (even if it's making plans to destroy the world, it's still a hobby), and might even like to watch TV. Figure this out before you do too much writing, and even if their love for everything chocolate never makes it into your book, your antagonist will stand out on the page and be a real figure for readers. Your antagonist may not be a person at all. Another huge discussion we had in the novel writing class was whether or not an antagonist has to be another human or even paranormal (vampire, zombie) character in your novel. The answer is NO. In my young adult novel, Caught Between Two Curses, the antagonist is the curse. Well, actually, it's two curses that my main character tries to break. Readers could argue that the woman who put the curse on Julie's family is the antagonist, but she plays such a minor role and is not the driving force of tension in Julie's life. You could also argue that it's her boyfriend, Gus; but again, what is blocking Julie from her goal throughout the book? The curses. How about The Perfect Storm? Although this is based on a true story, the antagonist is the storm. Same for the movie Twister. In Jaws and Jurassic Park, the antagonists are living things, but animals. Heck, your very own loveable flawed hero can even be your antagonist--Mr. Hyde, anyone? So to sum up. . .have fun writing your bad guy or force of nature or hero with a split personality. Take time to develop this source of tension in your novel, and maybe one day, readers everywhere will be discussing your antagonist the way we have He-Who-Must-Not-Be-Named. 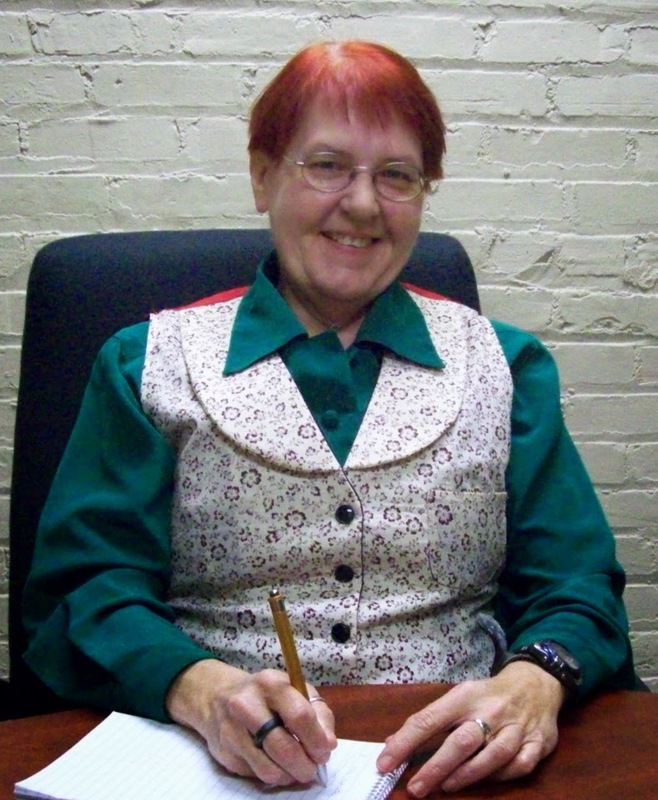 Margo L. Dill is a writing teacher and novelist for kids and teens. She teaches classes in the WOW! Women On Writing classroom about writing novels and writing for children. 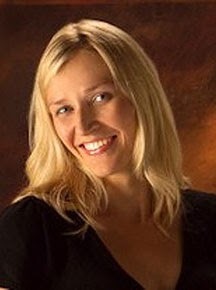 To check out her upcoming classes, please see http://www.wow-womenonwriting.com/WOWclasses.html . 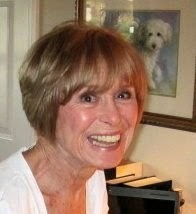 To find out more about her books, including the current holiday sale, please see http://margodill.com/blog/books/ . In the tradition of the Great American Memoir, a middle-age father takes the reader on a five-thousand-mile road trip--the one he always wished he'd taken as a young man. Recently divorced and uncertain of the future, he rereads the iconic road story--Jack Kerouac's On the Road--and along with his two sons and his best friend, heads for the highway to rekindle his spirit. Any Road Will Take You There: A Journey of Fathers and Sons is available as an e-book and paperback at Amazon, Barnes & Noble, and IndieBound. To win a copy of Any Road Will Take You There: A Journey of Fathers and Sons please enter using the Rafflecopter form at the bottom of this post. The giveaway contest closes this Friday, November 21st at 12:00 AM EST. We will announce the winner the same day in the Rafflecopter widget. Good luck! 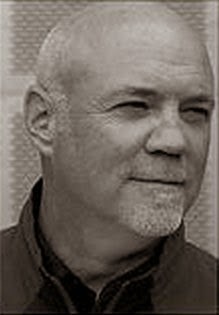 David W. Berner--the award winning author of Accidental Lessons and Any Road Will Take You There--was born in Pittsburgh, Pennsylvania where he began his work as a broadcast journalist and writer. He moved to Chicago to work as a radio reporter and news anchor for CBS Radio and later pursue a career as a writer and educator. His book Accidental Lessons is about his year teaching in one of the Chicago area's most troubled school districts. The book won the Golden Dragonfly Grand Prize for Literature and has been called a "beautiful, elegantly written book" by award-winning author Thomas E. Kennedy, and "a terrific memoir" by Rick Kogan (Chicago Tribune and WGN Radio). Any Road Will Take You There is the author's story of a 5000-mile road trip with his sons and the revelations of fatherhood. The memoir has been called "heartwarming and heartbreaking" and "a five-star wonderful read." WOW: David, thank you for choosing WOW! for your tour. This has been such a pleasure for me! Who has been most influential in your writing career? And how so? David: There have been many. Great authors have certainly spurred me on. Hemmingway, Kerouac, even the poets Billy Collins and W.B. Yeats. So have great songwriters: Dylan, McCartney, and some wonderful new songwriters with bands like Dawes and Iron & Wine. Music and wonderful lyrics have made an immense impact on my writing. It’s the lyrical aspect. There’s music in words even without musical notes. I love prose and poetry that moves like a song. It inspires me. But more than anything, everyday people and the people closest to me have been very strong influences. Working as a journalist, I see incredible stories all the time, stories of humanity and triumph and tragedy. Those stories inspire me. But there’s also my mother, who was a voracious reader and encouraged me to both read and write. And of course, there are my sons. They continually motivate and encouragement me to keep telling stories one way or another. WOW: Motivation and encouragement is so important in all areas of life. Speaking of life and lessons, what advice would your current self offer to your previous self? David: Don’t be in such a hurry. I worked in daily journalism for so many years and I expected the publishing world to move as quickly as that industry does. I expected, even though I knew better, that drafts and edits would happen more quickly, that story ideas and narratives would come more easily. The truth is you need time, time to think, walk around, experience, breath. Time to savor the stories. Slow down. WOW: Sounds like solid advice, and speaking of publishing, what prompted you to go there with your story? What made you want to publish Any Road Will Take You There? David: I believed my first book–Accidental Lessons–the story of being a new teacher was truly universal in its deeper meanings. Although it is about a year teaching in a troubled school district, and clearly appeals to educators, the bigger idea is about renewal and the reinvention of the spirit. We all can relate to that. But my sons are the ones who got me to see that. They are the ones who encouraged to write the book and see that so many people would find the story relevant to their lives, teachers or not. WOW: Lessons taught to us by our children--what a gift! Thanks for sharing your story and helping teach others. What’s next for you? David: All kind of stuff, I guess. I like doing different things. I’m involved in a songwriting competition. We’ll see where that goes. I play guitar and I occasionally write music. The songs are just my way of expressing something in another way. It’s mostly for fun. My publisher, Dream of Things, is releasing a book of my essays in the spring of 2015. 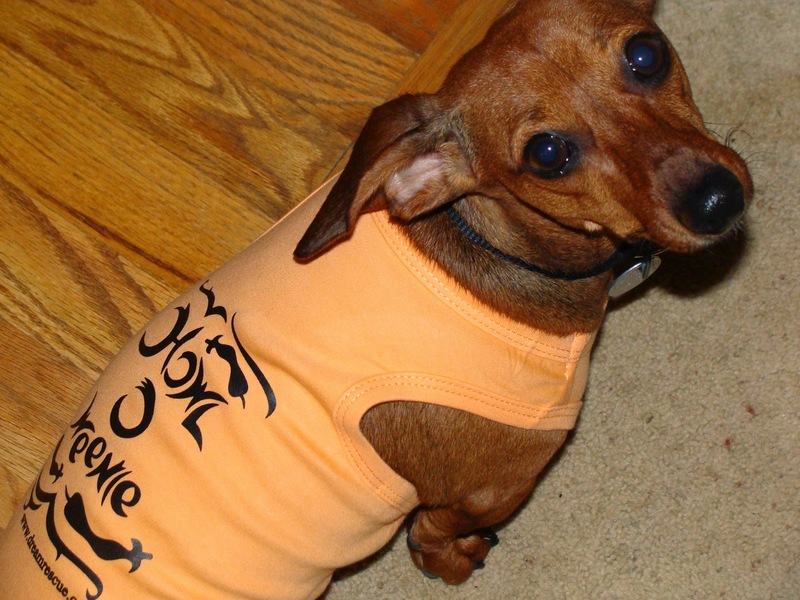 It’s a collection about the connection between our lives and our pets. These are not necessarily sentimentalized stories of cute cats or loyal puppies, but rather the deeper tales about how our souls can be shaped by the animals in our lives. I also have a novel I’m hoping to get out there soon. Looking for a publisher. It’s entitled Night Radio and it’s the story of a young man in the early 1970s, during that wonderful period when music truly was the soundtrack of a generation, and his dreams of being a radio sage. The character makes a mistake that changes his life and compels him to broadcast a unique and unforgettable New Year’s Eve show that forces him to face his past. It was fun writing about an industry I grew up in and still work in today. I still do broadcast work for CBS and occasionally for public radio. WOW: No dull moments at the Berner house I guess, wow! Since we are sharing, what is something readers may not know about you? I am a rabid Steelers fan, even though I live in Chicago. I want to visit Cuba someday. WOW: David, I am a firm believer in networking and support. Have you been in any writing or reading group and what are your thoughts on writers groups or book clubs? David: I am a member of the Chicago Writers Association and they are wonderful, truly a good group for networking and support. I’ve been involved with a couple others from time to time. Honestly though, I’m not extremely active. I love CWA, but I’m not that big of a joiner. On book clubs, well, I’ve never been in one. But I have spoken at a few, clubs that have read one of my books. That’s a hoot. Would love to do more of that. WOW: When did you know you were an author? David: I like to think of myself as a writer, more than an author. An author implies a level of marketing and sales. So, when did I know I was a writer? When I was a little kid and wrote my first book in 2nd grade. It was this little story I wrote about a Cyclops and deep-sea explorers that was turned into a little paper Mache book as part of a class project. I loved that book. Still have it. But a professional writer? Probably when I held the first copy of my memoir Accidental Lessons in my hands. WOW: I hope you know you’ve graduated to writer and author status – you’re a big deal David! How do you celebrate your writing victories? David: Quietly, with a glass of wine and a smile. WOW: Be looking for that next email from me – you’ll have to let us know what wine you’ll be drinking this evening as your blog tour launches! If your book were a movie, what song would be included? And why? David: If we’re talking about Any Road Will Take You There, we could easily fall into clichés, right? “On the Road Again” and so many other road songs come to mind. But there’s one Bob Dylan song that I truly believe says it all. The chorus, or refrain in “My Back Pages” is “I was so much older then, I’m younger than that now.” That’s a statement about rebirth, transformation, and renewal of the spirit. I like that a lot. WOW: Now those songs will be going through my head all day – you won’t hear me complaining! Thank you for sharing and for choosing WOW! David, this tour has been such a pleasure! Join David Berner as he offers insight into writing about your life and choosing what to write about. David shares his thoughts with Madeline Sharples and readers of Choices. Learn more about Berner and his memoir, Any Road Will Take You There: A Journey of Fathers and Sons. Join memoirist Jerry Waxler as he reviews David W. Berner's memoir, Any Road Will Take You There: A Journey of Fathers and Sons. Today is the day to catch up with David W Berner and his WOW! tour as he stops by All Things Audry with the guest post topic of "The Allure and Redemptive Nature of Road Trips". Read this post and find out more about Berner's memoir Any Road Will Take You There. David W Berner shares his thoughts in a guest post at National Association of Memoir Writers and shares "How to balance the story with what can be the sometimes intrusive nature of writing about family". Hear from David W. Berner about this and find out more about his memoir Any Road Will Take You There: A Journey of Fathers and Sons. David W Berner stops at Create Write Now as he shares a guest post with Mari McCarthy and her readers. Learn more about Berner's book Any Road Will Take You There: A journey of fathers and sons and read his insightful post about "How to incorporate reflective moments in memoir or creative nonfiction." David W. Berner and his memoir, Any Road Will Take You There: A journey of fathers and sons make a stop to share thoughts about being a writer in residence with Lauren Scharhag and her readers. This is a blog stop you won't want to miss! 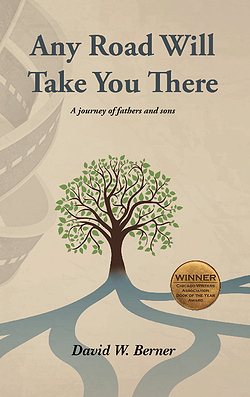 Join Lisa Haselton as she interviews David W. Berner about Any Road Will Take You There: A journey of fathers and sons. David has also offered an ebook copy of his book for a giveaway; so don't miss this great blog stop! Jodi Webb interviews David W. Berner about his memoir Any Road Will Take You There: A journey of fathers and sons. David W. Berner writes today's guest post at Renee's Pages where h talks about "What Broadcast Journalism Taught Me About Parenting". Learn more about David W. Berner and his memoir Any Road Will Take You There: A journey of fathers and sons. David W. Berner shares his thoughts as he writes today's guest post at Chynna Laird Author Blog. Hear about "How Accidental Lessons Changed My Life" and learn more about David W. Berner and his popular memoir Any Road Will Take You There: A journey of fathers and sons. David W Berner is interviewed by Romance Junkies. Find out more about Berner and his memoir Any Road Will Take You There. David W. Berner writes today's post at CMash Reads as he writes about how to be disciplined with writing - - writing like you workout. Don't miss this guest post as you find out more about his memoir Any Road Will Take You There and register for a giveaway so you can read your own copy David's book! David W. Berner stops by Sioux's Page to talk more about his memoir Any Road Will Take You There and also provide some insight into his experience publishing with Dream of Things and how he came to choose this publisher. David W. Berner takes his WOW! blog tour to Sherrey Meyer's blog with a guest post topic "Writing about the living and writing about the dead. How to be true to both. " Hear what David has to say as you learn more about his memoir Any Road Will Take You There. Stop by Kathleen Pooler's blog, Memoir Writer's Journey today to learn more about David W. Berner and his memoir and read David's guest post about "The unique connection between fathers and sons." Enter to win a copy of Any Road Will Take You There by David W Berner! Just fill out the Rafflecopter form below. We will announce the winner in the Rafflecopter widget this Friday, November 21st! Because I write for children, I read a lot of children’s books. My recent reading has been limited almost exclusively to picture books and I’ve discovered a wealth of nonfiction gems including Mr. Ferries and His Wheel by Kathryn Gibbs Davis, illustrated by Gilbert Ford (Houghton Mifflin) and The Kite that Bridged Two Nations by Alexis O’Neill, illustrated by Terry Widener (Calkins Creek). Or at least I assumed they were both nonfiction until I looked more closely and made a surprising discovery. 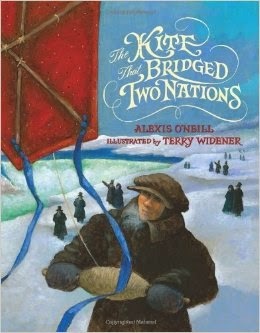 The Kite that Bridged Two Nations is a fiction book based on a real event. 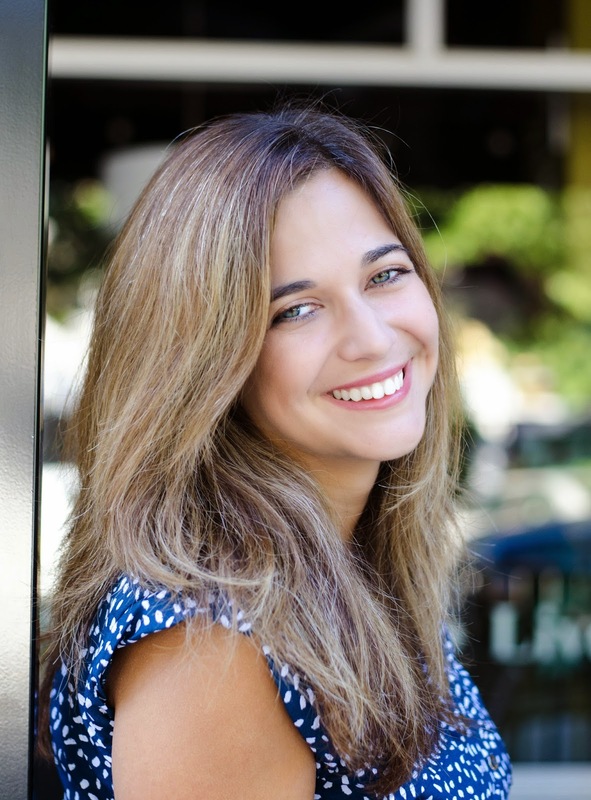 In the back matter of the book, author Alexis O’Neill explains that her decision to write about the event as fiction was based on what is essential for a gripping story. Conflict. A good story has to have conflict. Homan, the main character, couldn’t simply make a kite, fly it and win the context. For this story to be picture book worthy, there had to be conflict big enough to bring Homan to a halt before he could even build his kite. O’Neill introduced needed conflict by creating a disagreement with Homan’s father, who strongly disapproves of his son’s frivolous kite flying. Do you see what O’Neill has done with this conflict? Homan not only win’s the contest, his father comes around to see the value of what his son does. This subplot creates not only needed tension but a warm, satisfying conclusion to the story. The Catalyst. All good stories require something to get the main character moving. O’Neill knew that the drive to win the contest was what brought Homan to achieve the impossible. But how on earth did he find out about it? O’Neill created a handbill, typical for the time but not part of the historic record, to bring the contest to Homan’s attention and get the story underway. Acceptable Risk. Homan wasn’t an adult but a journey to the Canadian side of the falls stranded the real Homan for 8 days in Canada. A picture book character separated from parents and family for eight days. Can you say banning and censorship? Of course you can, if the book would even be published. To make this Canadian stay more acceptable, O’Neill invented a kind Canadian family who takes him in. When you find a true story that just won’t work “as is,” consider writing it as fiction. A story that works as fiction will soar into the hands of your readers. A story that doesn’t work as nonfiction, simply won’t fly even if it’s about a kite. This is the blog post where I admit that I’m still on the battlefield, but I have no plans for winning the battle. (I refuse to call myself defeated.) 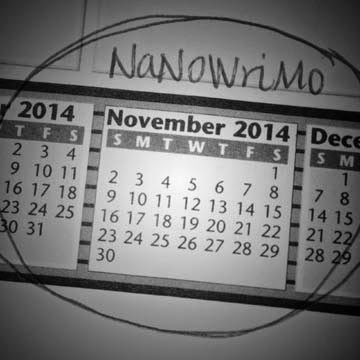 Two weeks ago I braved jumping into NaNoWriMo without a plan, a story outline, or a writing schedule. (Thank you for all the cheering after my November 1 post! I appreciated it!) Diving into NaNoWriMo was less pressure for me than in other years, but I knew it would still require a commitment of my time. I wish I could claim that I haven’t been writing for the contest because of some other fantastic project. Unfortunately, that’s not the case. In this time, the biggest realization I’ve come to is that—writing or no writing—I’m not putting aside enough time for me. For example, those times when I had a spare moment, my focus shifted from writing to helping my daughters clean their room during a crisis—a buyer contacted us to buy their beds we were replacing and we would do some repairs. Or I was diving into the launch of my email list free gift. (That excitement was lessened by some last-minute editorial changes that took time.) These were not the only things that became a bump in the road. Unfortunately, I’ve let individual bumps grow into a mountain that was between me and my writing. For the next two weeks, I’m going to shift my focus. Obviously, I’m not going to finish a novel in the next fifteen days. But I know I want to finish it. What I can do is I can put a plan in place to at least get writing during this busy time. And these are tips that are applicable post-NaNoWriMo. Refrain from reading (too much). Don’t get me wrong, I love to read. Lately I find that if I check my phone or email, I start clicking on links. Thirty minutes later, I’ve started reading the longest article in the history of the world. It’s a sign of my procrastination, which I need to curtail. Plan better. The bed fiasco sucked more time than necessary because I let it. I could have stepped back and allowed my kids more autonomy while I supervised. I thought by jumping in, I would get return to writing time. Instead, I was pulled deeper into my kids’ activities. (Totally worth it, mind you, but I still could have planned better!) This weekend, we are throwing a birthday party...and I've been planning! Better buddy contact. I needed to check in with my NaNoWriMo friends and give them support. I find having those writing conversations energizing, but I haven’t made time for them…yet! Shuffle writing time. I’m a morning writer, so I often tell myself I can’t write creatively later in the day. So, for the next two weeks, if I don’t write in the mornings, I vow to write during my lunch hour or before bed at night. I will be writing, no matter the time of day. What have you been doing to reach your writing goals, NaNoWriMo or others? What have you had to rearrange or stop doing in order to make progress on your work-in-progress?